Heads up, China Gorge fans ... even though we're closed on Aug. 21, we're still holding a partial total solar eclipse party. That's right, you don't have to join the throngs in Madras or wherever. Just stay home, and come here (if you really feel the need to leave your house) and watch what we Gorge residents will see. 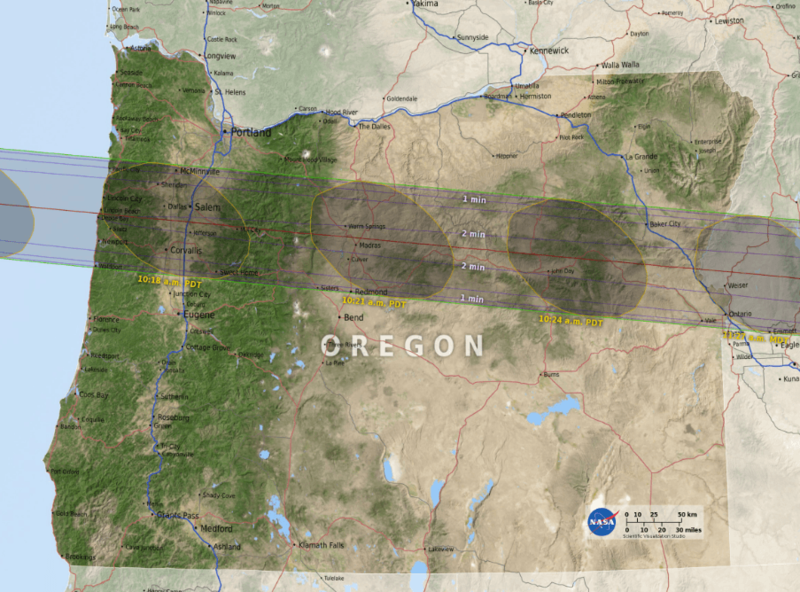 Not a total eclipse, technically speaking (according to the NASA Solar Eclipse web site), but a totally PARTIAL eclipse, which is cool, too, especially since you won't get stuck in a traffic jam afterwards for hours and hours and ... days? Weeks? Who knows. To some of us, the chaos of human activity aimed at the zone of totality is almost more interesting than the eclipse itself, which will last only a couple of minutes, even for people in the zone. So, even though we won't be open to serve you your favorite China Gorge dish, just know that if you're looking for a place to look safely (with eclipse glasses) at the sun, you're welcome to park with us.